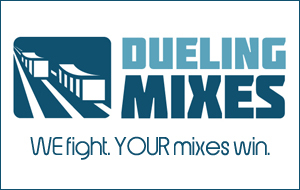 In January, I posted several articles on mixing. Today I want to share with you an excerpt from the HSC Production Club. This video comes out of the Week 9 material, which deals with mixing drums and bass. If you haven’t signed up for the free webinar tomorrow night (Tuesday, February 2, at 7PM CST), there’s still time. You can do so by CLICKING HERE. I’ll tell you more about the Production Club, and we’ll take a look at a bunch of common home studio obstacles. Hint: The audio is a good bit better in HD (720p). FYI: As a part of the production club, you’ll actually download the full HD videos without losing fidelity to things like YouTube compression algorithms.